We celebrated Earth Day last week, but really, we should be celebrating Earth Day Every Day. We can't afford to think about saving the earth just one day a year -- it should be a conscious daily effort, and we should be teaching our kids to build good habits that lessen our impact on the earth. Even small things can make a big difference. For instance, did you know that 600 million bathroom products could end up in landfills each year? Most plastic bottles that we use for our bath and beauty product can be recycled, but just 34% of Americans actually recycle them! Think of all the landfill space that we could be freeing up, just by taking our used shampoo bottles, soap dispensers, and facial cream tubs downstairs to the recycling bin instead of tossing them in the trash! 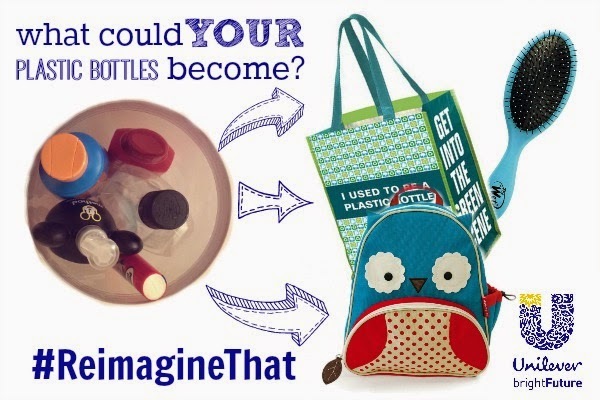 It's a shame, because recycled plastic can be turned into so many things -- bags, hairbrushes,dinnerware, carpeting, countertops, even flooring for playgrounds and running tracks! Beware the product hoarders: 1 in 5 Americans (20%) have more than 10 bathroom products in plastic bottles in their bathroom at a given time. What gets Americans moving: Americans are more likely to go the distance to get a drink when thirsty, charge their phone, or answer a phone call than walk an empty plastic bottle from the bathroom to the recycle bin. Battle of the sexes: More men (80%) reported recycling their empty bathroom bottles than women (74%). Unilever can’t do this alone, and so the company has introduced the Unilever BrightFuture initiative. What began as Project Sunlight in 2013 has evolved into a larger movement designed to bring Unilever’s purpose to life and inspire Americans to take small actions that add up to a big difference – whether that’s wasting less, sharing more, turning off the tap, turning on community activism or, simply, recycling – because everyone has a role to play in creating a brighter future. Make an effort to recycle your used bath and beauty bottles. Put a small recycling bin in your bathrooms, or take your used bath and beauty bottles downstairs to your household recycling bin. 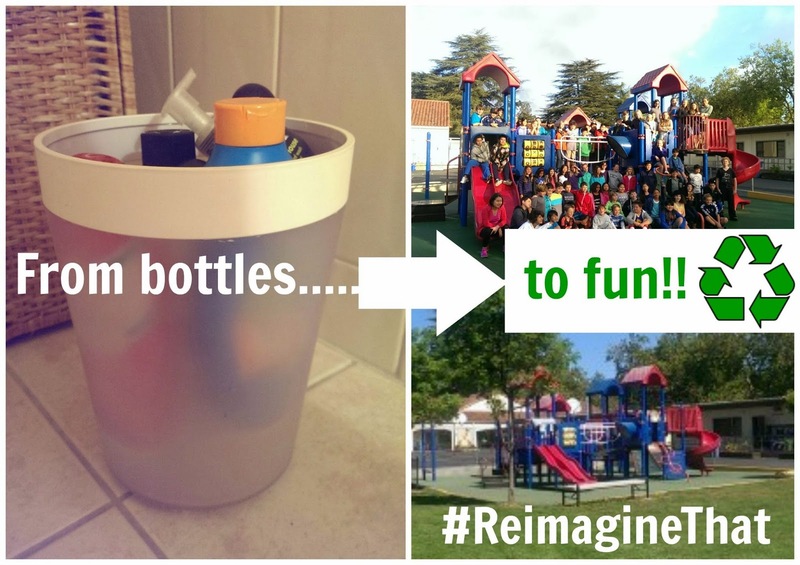 Spread the word!Share a photo of your bathroom empties being recycled on Twitter and Instagram using #ReimagineThat. 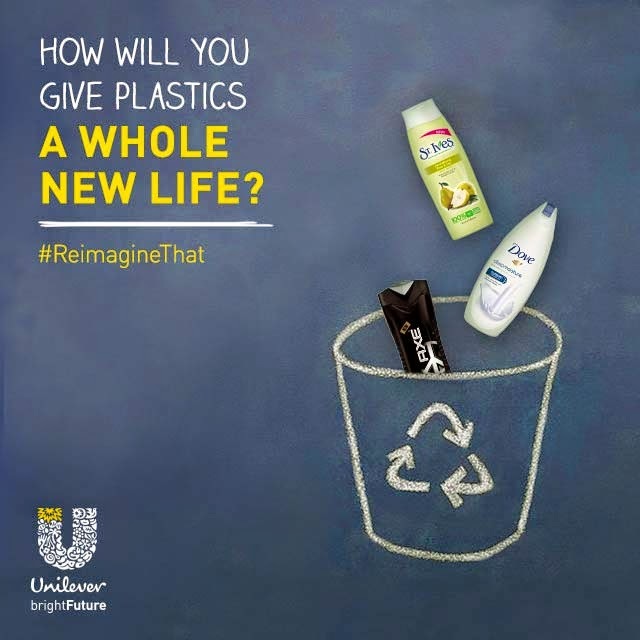 You can even add #Sweeps and tag @UnileverUSA to your post to be entered for a chance to win recycled, reimagined prizes. Watch famous Internet Illusionist Zach King and others reimagine recycling and share their videos across your social channels. 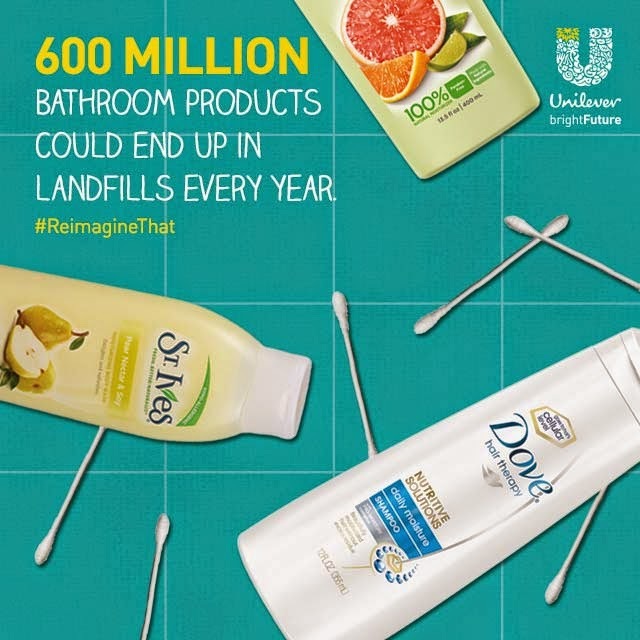 Visit BrightFuture.Unilever.us to learn how you can help bridge the gap in bathroom recycling. Here are a couple of images I created using my own bath product empties... now let's see yours! Sing Along with Chiquita Banana, and you could win $5000! Who doesn't love Chiquita Bananas? That distinctive blue sticker is as much a part of a grocery store banana as the yellow peel! And who can forget the adorable Chiquita Banana jingle? This year marks the 70th anniversary of the jingle -- Miss Chiquita Banana first debuted on the airwaves in 1944 -- and to celebrate, Chiquita is looking for the next Chiquita star to it! You can star in your very own Chiquita Banana jingle. 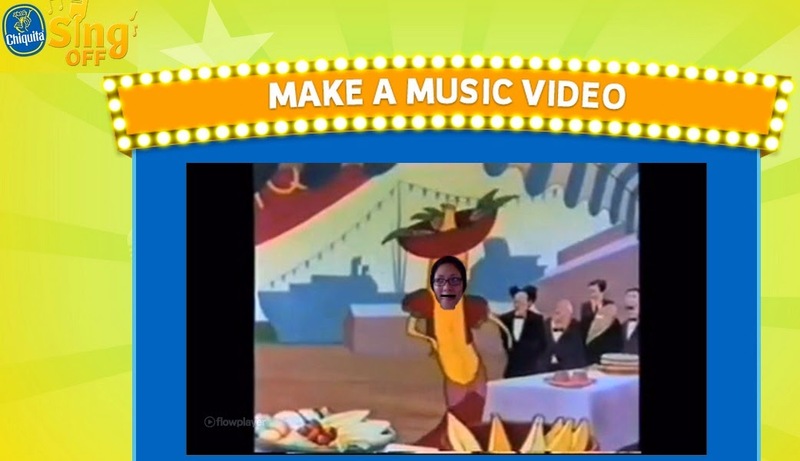 To star in your very own Chiquita Banana video, all you have to do is head to http://www.chiquitabananas.com/singoff/, upload a video, and share it! If you're a bit camera shy, no worries – you can upload your own music video, record yourself in a sing-a-long, or you can upload your photo into a fun banana video – choose the one that best fits you! You can even scope out other top banana entries on the Chiquita website for inspiration. And speaking of inspiration, you could win up to $5,000 for your Chiquita video! Check out my video below, and head on over to create yours! We eat meat just 1-2 times per week. We use water bottles and sandwich containers instead of plastic bags and disposable wrappers. We wash clothes with cold water. This year, everyone can join Mickey and Friends in living greener with DISNEY GO GREEN: A Family Guide To A Sustainable Lifestyle. The book explains the importance of sustainability in a simple, understandable way. It includes interesting facts and tips, and has lots of fun activities for children to try. The purpose of the activities is to show children how to be artistic using items found in nature or how to reuse things they already have. There are also recipes for using locally grown ingredients. All of this helps reduce our ecological footprint and impact on the planet. What I like about DISNEY GO GREEN is that it's not just a "save the earth" book or a "recycled crafts" activity book, it's really a lifestyle book that goes much further than recycling and walking to school and making bird feeders. It's all of that and more! It talks about living a minimalist lifestyle, being kind to one another (if you care about others, you care about how they live and what kind of planet everyone is living in! ), having responsibilities and setting goals. There is so much food for though, it's the perfect book to read to your kids in bits and pieces. Read a page before dinner and spend your dinner hour talking about it, or read another page on a car trip and talk about it during the trip. Disclosure: I received a product sample to facilitate my review, but have not been paid to review the product or give my opinions. . The views and opinions expressed here are my own. What are Monster Jam trucks? 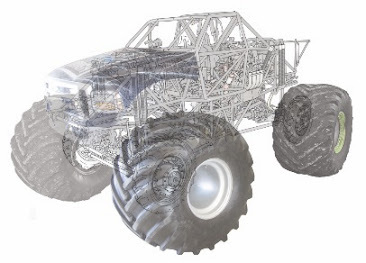 Approximately 12’ tall and about 12’ wide, Monster Jam® trucks are custom-designed machines that sit atop 66 inch tires. Built for short, high-powered bursts of speed, Monster Jam trucks have 1,500 horsepower and are capable of speeds up to 80 miles per hour. Monster Jam trucks can jump more than 30’ high and travel a distance of about 130’ flying through the air. That’s longer than 14 cars lined up side by side! 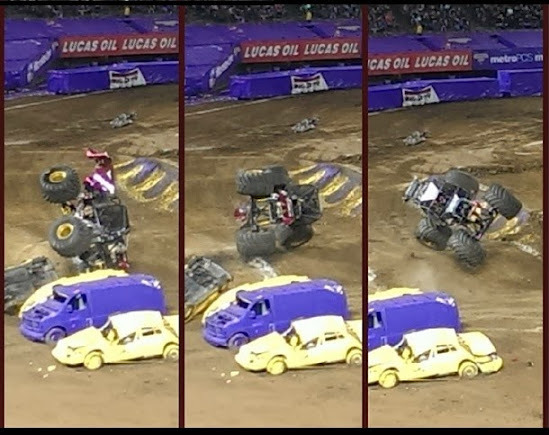 What happens at Monster Jam live events? Where do they get the cars to crush? Cars, as well as vans, buses, motor homes, airplanes and ambulances, are obtained from local recycling centers and returned after each event. Full-size steel body cars are the vehicles typically crushed during an event. More than 3,000 cars are crushed at Monster Jam events each and every year. Who are the stars of the show? Why should I attend a Monster Jam event? Monster Jam combines the best of a stunt show, a freestyle competition, and a racing competition! You'll find yourself amazed at how the drivers can do all the things they do, and you'll find yourself holding your breath whenever they make their trucks spin, jump, and flip. Monster Jam is affordable for the whole family, and unlike traditional sporting events or family shows, you can actually meet the stars of the show at the pre-show Pit Party and post-show autograph sessions! Buy tickets for Monster Jam at Levi's Stadium online! 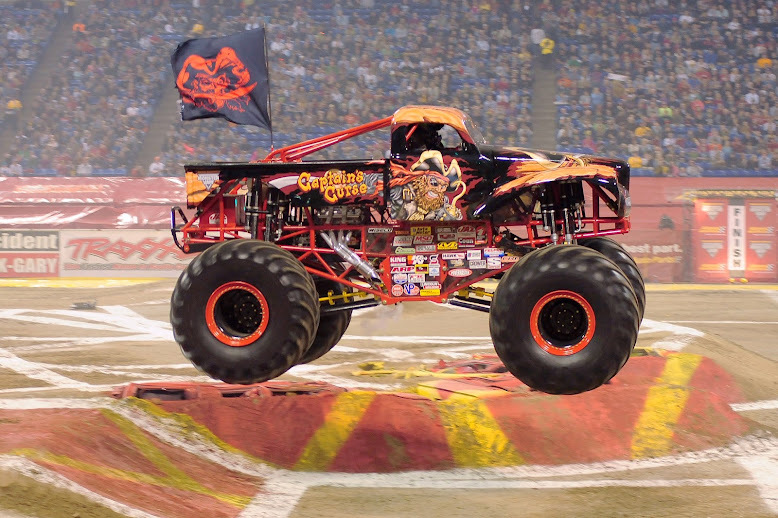 If you live outside the SF Bay Area, go to Monster Jam online for an event near you. For a little while, my boys were the cool kids on the lunch tables with their GladWare Teenage Mutant Ninja Turtle containers. Then, of course, lots of boys got them, and they became par for the course. Once again, thanks to Glad, 3Po and Jammy are lunchtime trendsetters with the new limited-edition Spongebob Squarepants Mini Round containers! These are even cooler, because Spongebob is huge with kids, girls and boys, from preschoolers to high schoolers. There's just something about Spongebob's innocent goofiness that makes everyone smile. Banish boring lunches and snacks to Davy Jones’ Locker with the limited-edition GladWare® series featuring the stars of the smash-hit SpongeBob SquarePants™ film, on shelves exclusively at Target now! Those packed snacks and lunches will seem much cooler served from these fun new containers skinned with everyone’s favorite underwater BFFs: SpongeBob and Patrick Star! 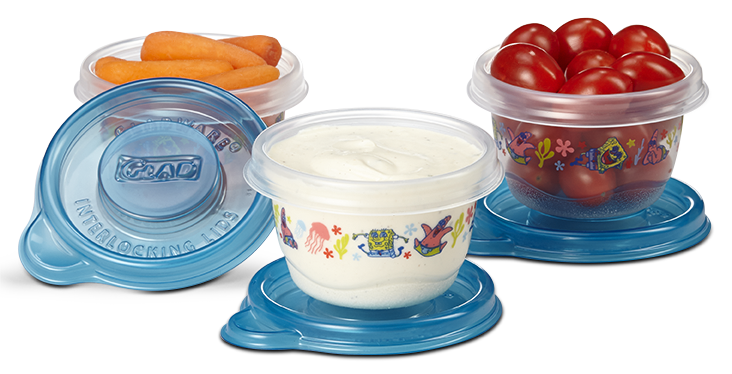 As a bonus for parents, not only will the GladWare help keep kids’ snacks fresher longer so that you can avoid having to toss food into the bin and ending up as food waste, the containers are safe for the microwave, freezer and dishwasher, too. I love the fact that the containers are the exact same size and shape as the regular Mini Rounds by GladWare, so I can mix and match the lids and bottoms, and I can store them easily by stacking them up (very important when you have a small kitchen!). We use them to pack blueberries,strawberries, nuts, cereal, trail mix, cupcakes, olives, raisins, tomatoes, carrots, hummus, yogurt, maple syrup, and so much more! By using these Mini Rounds, I don't have to buy individually packaged snacks and I don't have to buy plastic sandwich bags, which saves money and saves the environment. It's a win-win for everyone! Enter via Rafflecopter below. Giveaway ends 11:59 PST on April 16, 2015. I will draw a winner after that date and post their name once the winner has been confirmed and verified. Continental US residents only. For more giveaway rules, click here. Good luck! Disclosure: I received a product sample to facilitate my review, but have not been paid to review the product or give my opinions. Product information (in italics) is provided by GladWare. The views and opinions expressed here are my own. 1) Playdates, playdates, playdates. Find other families that are enjoying staycations during spring break and trade off playdates so you get a few hours of peace and quiet. 2) Spring break camps. Many places offer spring break camps that last 1, 3, or 5 days. 3) Day trips. Break the monotony by doing something fun. You can go on a mini road trip for the day, or stay close to home -- go to a museum, an amusement park, a movie. 4) Relax your schedule. It's okay to occasionally let your kids veg out in front of the tv or video game console for hours! 5) Make time for yourself. On a day when it's just you and the kids at home, schedule a few hours dedicated to playing with the kids, and during that time, be there -- don't spend it checking your phone! Then schedule a few hours for yourself. Curl up with a book while they're watching tv, or take a long, hot shower. Don't forget the luxurious body wash! Personally, just inhaling the fragrance of a good body wash relaxes me every time. 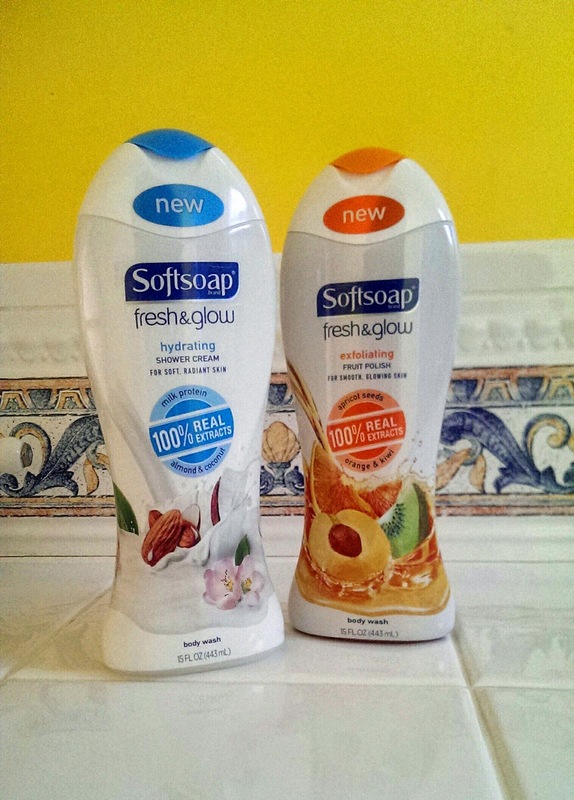 Check out the Softsoap Fresh & Glow body wash line, with great fragrances and moisturizers. They're great for my skin and amazing for my state of mind! Disclosure:I received a product sample to facilitate my review, but have not been paid to review the product or give my opinions. Product information (in italics) is provided by Softsoap. The views and opinions expressed here are my own.